LONDON — Global growth is slowing and the world economy is headed for a recession in 2019 unless something happens to give it renewed momentum. 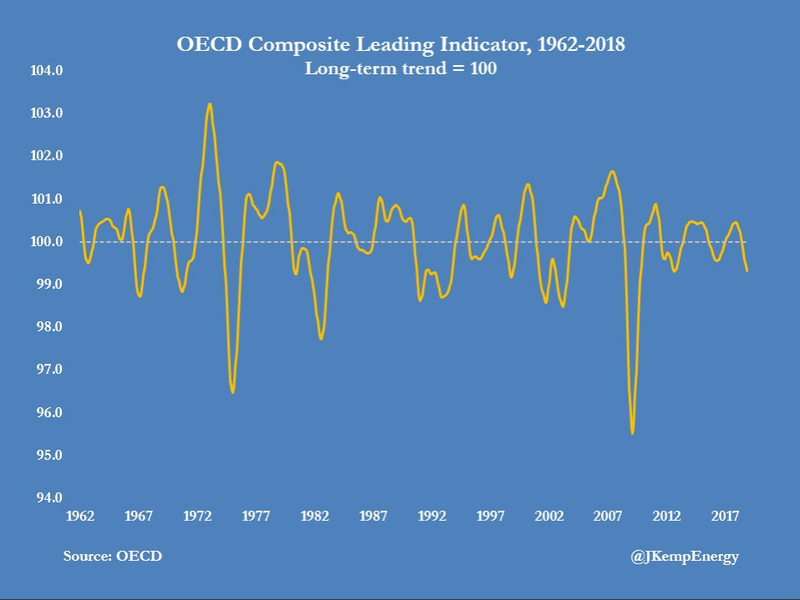 The OECD’s composite leading indicator fell to just 99.3 points in November, its lowest since October 2012, and down from a peak of 100.5 at the end of 2017. Growth momentum has been easing for some time in Britain, Canada, France and Italy and there were tentative signs of slackening momentum in the United States and Germany in November. The composite indicator is likely to fall even further when data for December are published next month, given the weakness already revealed in equity markets and business surveys. 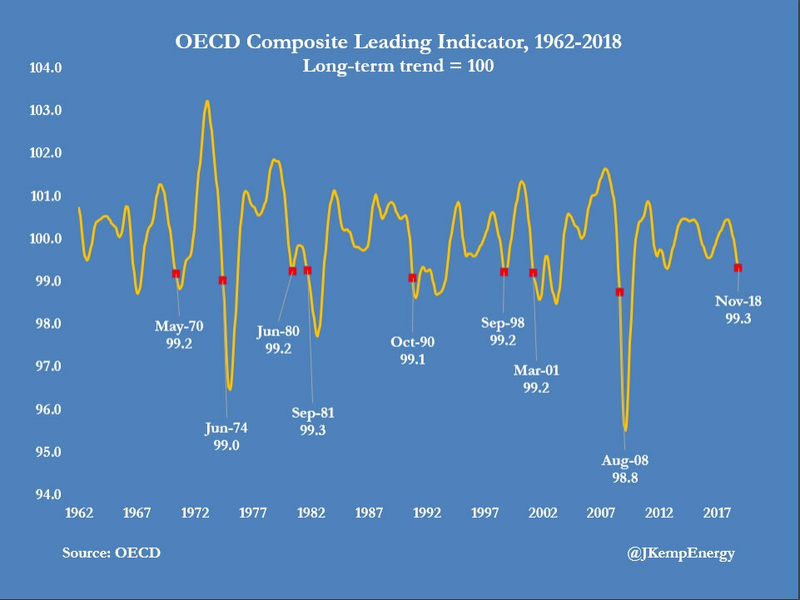 The OECD composite leading indicator has been weakening consistently for the last year and now points unambiguously to a contraction ahead. The observations are contained in the transcript of an unusual, out-of-cycle conference call held by the Federal Open Market Committee in September 1998. One week later, the Federal Reserve responded to signs of a weakening economy by cutting US interest rates. Most of the world’s major economies outside the United States showed clear signs of slackening growth in the fourth quarter of 2018. Even in the United States, the Institute for Supply Management’s manufacturing index for December showed the sharpest deceleration in growth since the recessions of 2008 and 2001. Global trade volumes showed signs of slowing towards the end of 2018 after strong growth in 2017. Air freight through Hong Kong International Airport, the world’s busiest air cargo hub and a proxy for global trade, was down 1.6 percent year-on-year in the fourth quarter. 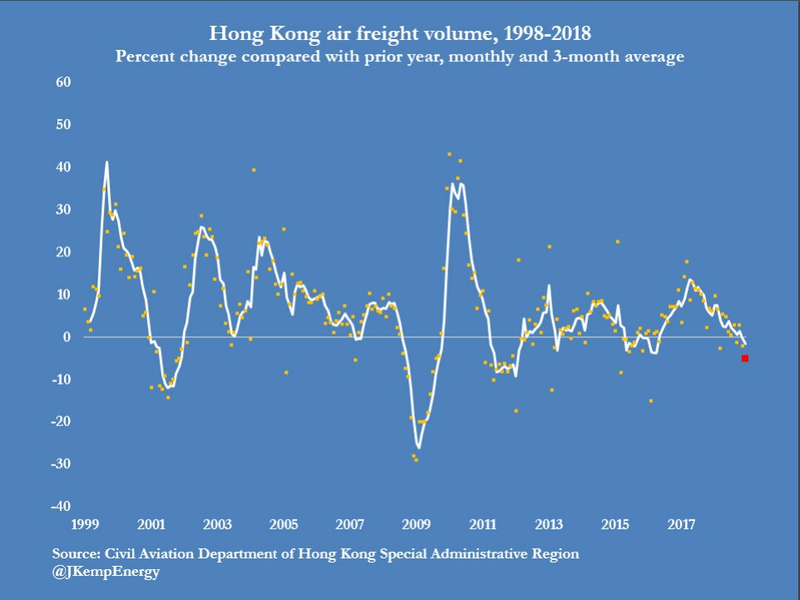 Air freight volumes in Hong Kong were down by a massive 5 percent in December compared with the same month a year earlier, according to the Civil Aviation Department. 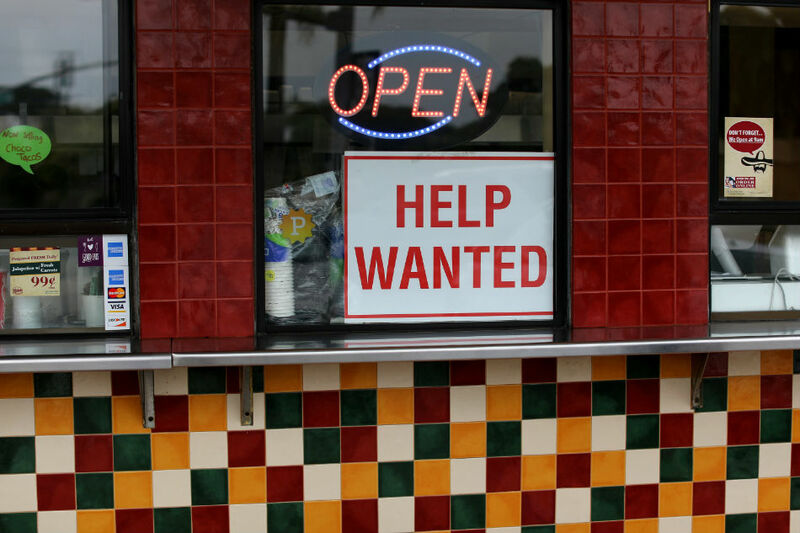 Most economists now forecast a period of slower growth in 2019 but policymakers have expressed hope for a soft landing rather than an outright recession. Policymakers almost always aim for a soft landing, in an effort to maintain business and consumer confidence, but there are good reasons to be skeptical about the scenario. Experience shows the economy is characterized by a significant number of positive feedback mechanisms which amplify booms and slumps. Expansions tend to accelerate as business investment, employment, incomes, consumer spending and equity prices reinforce each other. Once the economy starts to lose momentum, however, all these factors tend to interact with each other in the opposite direction to intensify the slowdown. A soft landing is still possible but a hard landing is more likely unless something happens to kickstart global growth. (b) conclude a trade agreement between China and the United States to ease trade tensions and boost business confidence. But unless policymakers intervene with one of these alternatives, the global economy’s momentum will continue to slacken and push it towards recession.